Faded Windmills: Pedal to the Metal // Introducing my new toy! Pedal to the Metal // Introducing my new toy! 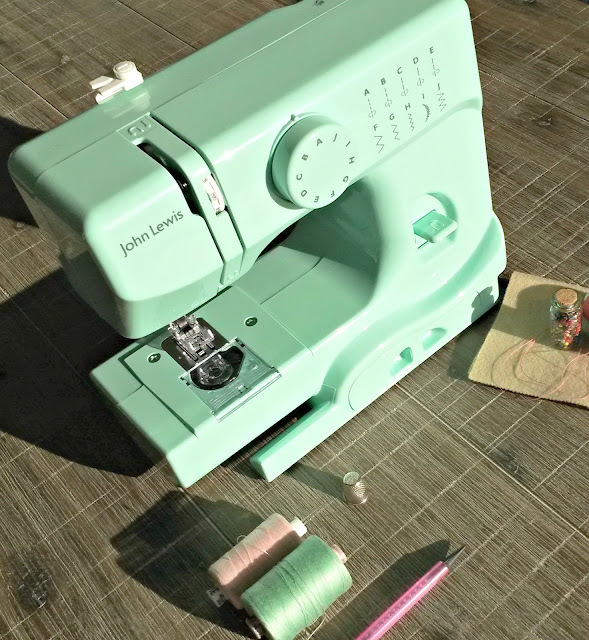 As a motivational boost and a self indulgent treat, I see this cute John Lewis Mini sewing machine (made by Janome) as the perfect way to kick start a fresh new year of creating handmade goodies. 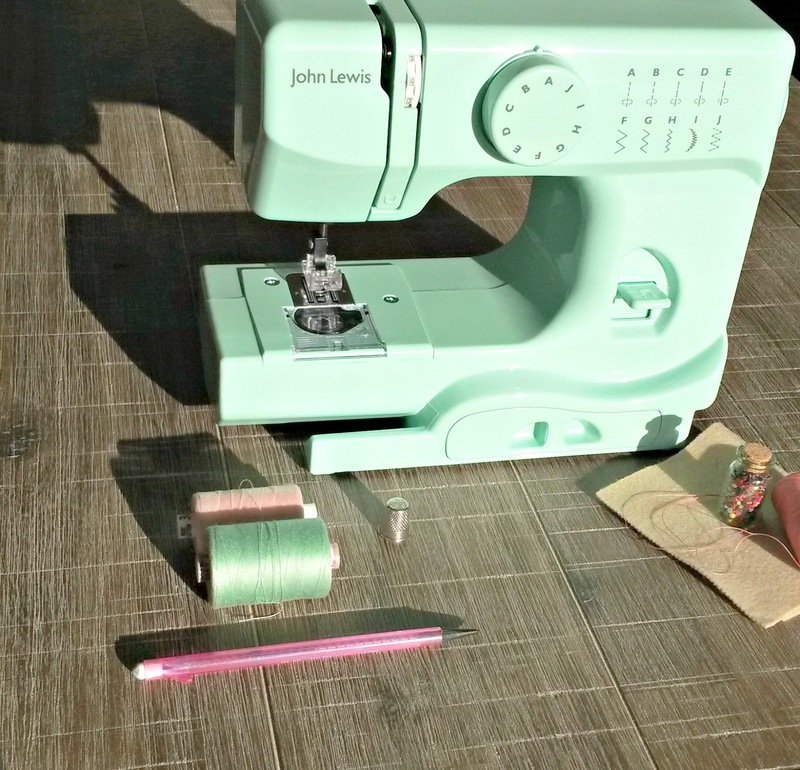 The colour alone brightens up my sewing desk and the light weight, petite shape makes it ideal for practical use whilst not taking up too much space (and could easily work as a portable machine, if you work on a freelance basis)! 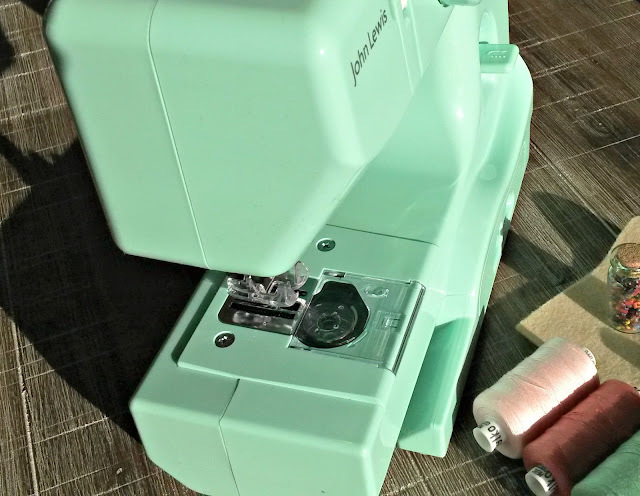 It has a handful of basic functions, everything needed for most of the sewing projects I tend to work with but this little guy can always be upgraded for tougher, thicker fabrics simply by swapping out the needle it came with, for a heavy weight contender. Like wise with various foot attachments, I will be doing a bit of research to see what I can rustle up in this department! 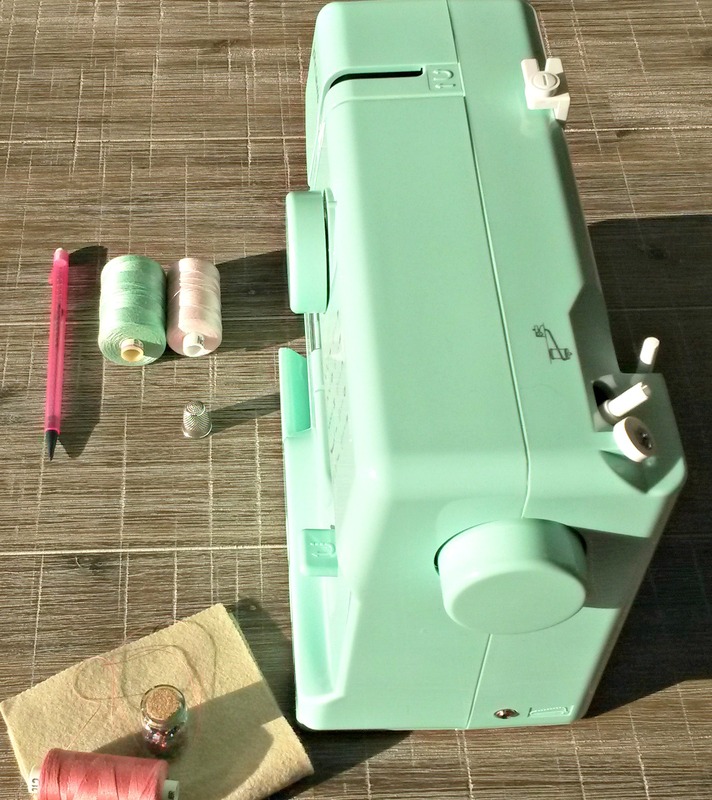 With three clear, light bobbin reels you can get started immediately. I am super intrigued to take this baby out for a spin. The threading system is slightly different to my usual domestic machine, but theres nothing like a little diversity to excite things. 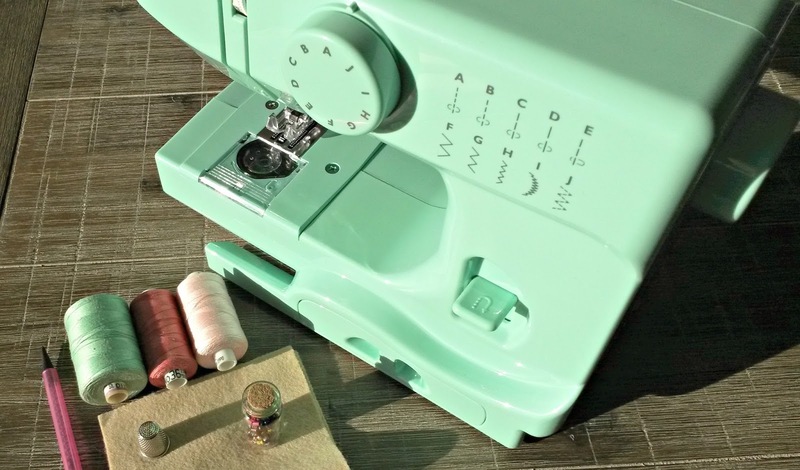 Super sweet and a bargain at that, I am already on the hunt for my first project! 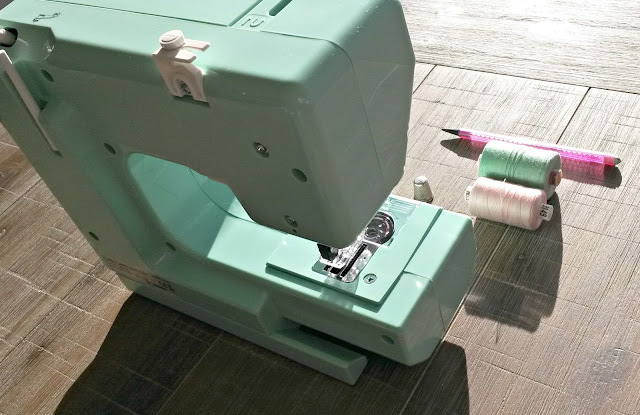 There are quite a few options in the first issue of the year of Simply Sewing magazine and as usual my pinterest page is full to the brim with ideas. I will keep you posted on how I find the functions and general use of this guy, I've heard pretty great things from reviews so it has a lot to live up to! 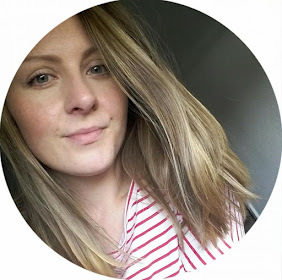 Be sure to let me know of any exciting makes on your list, any new studio pieces you may have added to your stash or if you've bought anything handmade recently. 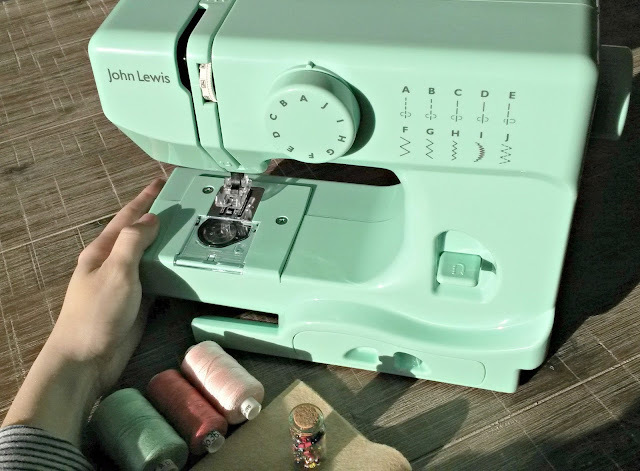 Supporting small businesses and locally crafted goods is super important these days and of course, provides you with incredibly special and unique products! What's not to love!